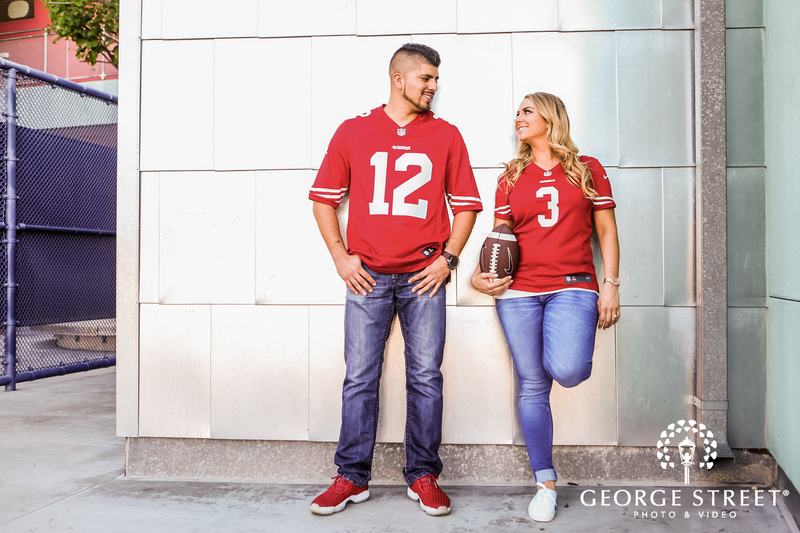 One of the biggest games of the year calls for a collection of sports-themed engagement photos. 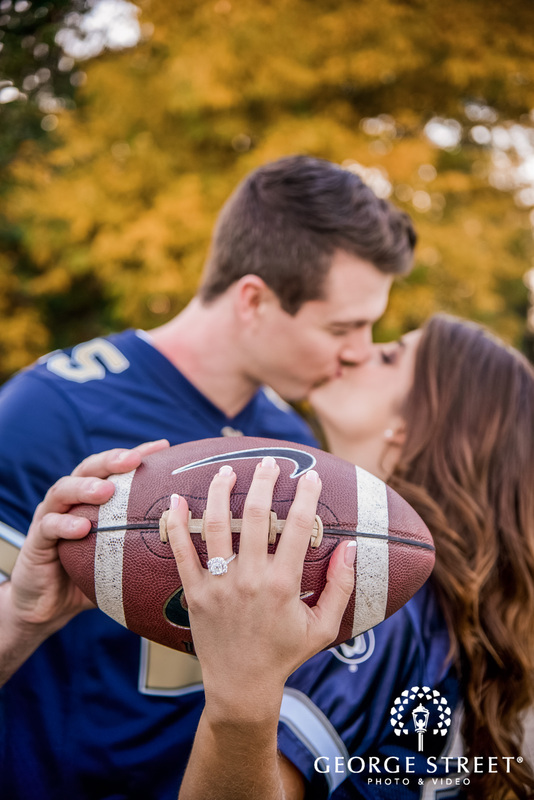 No matter your sports preference -- whether it's football, baseball, or even Quidditch-- you can always find a way to work it into your engagement session. 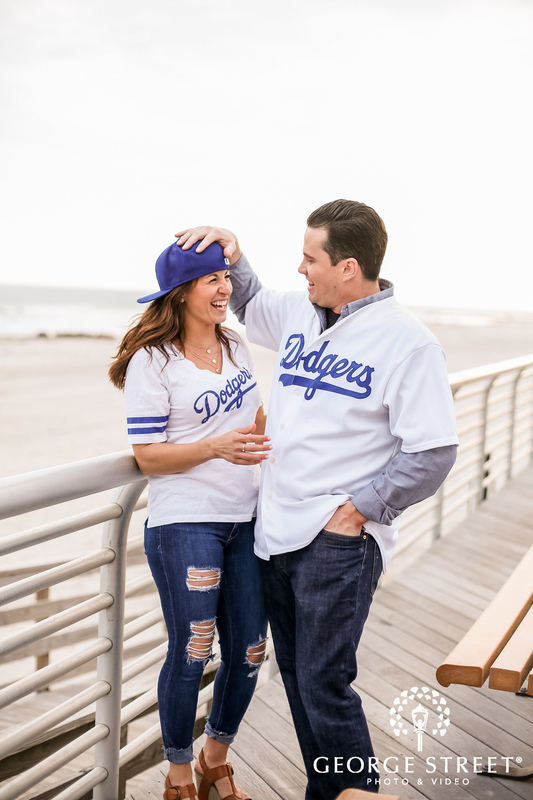 Here are some of our favorite approaches from couples we've worked with. 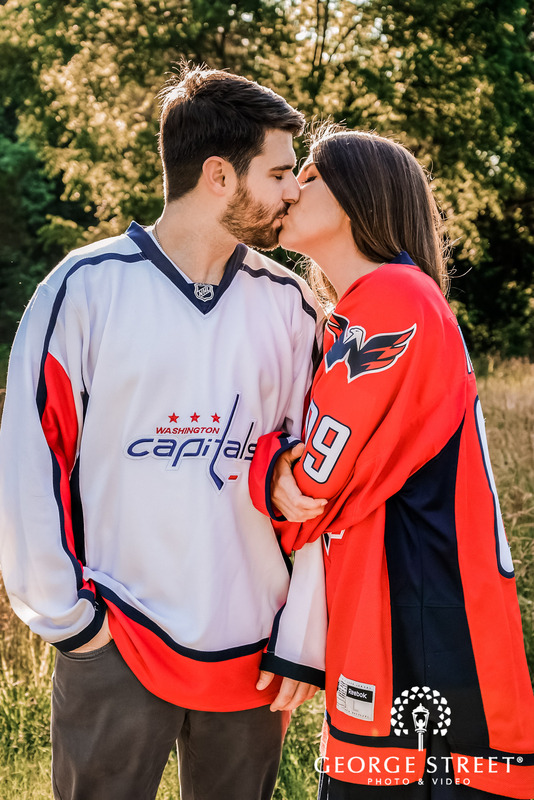 One of the simplest ways to incorporate your favorite sport or team is to don jerseys in your engagement pics for a look that screams your allegiance to your team and your partner. 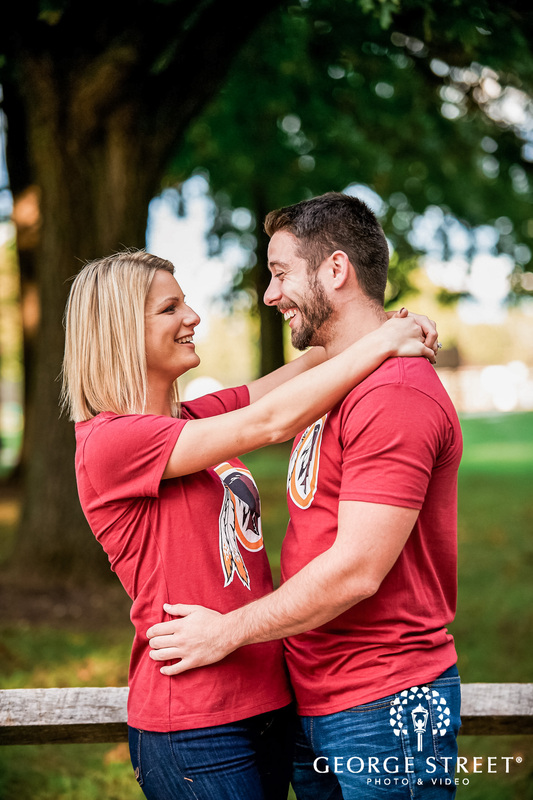 For a more casual look, you can wear t-shirts with your team logo. 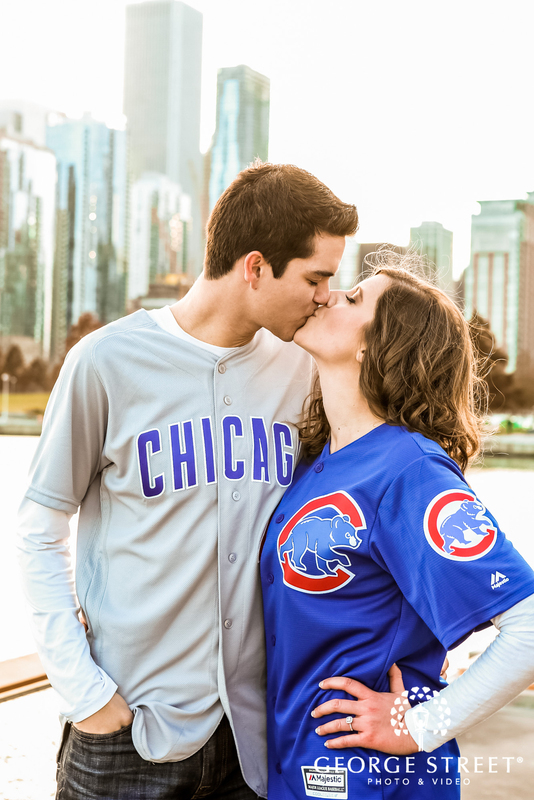 If that's still too much commitment for you (the shirts, not the partner), then you can each wear team hats for a portion of your session. 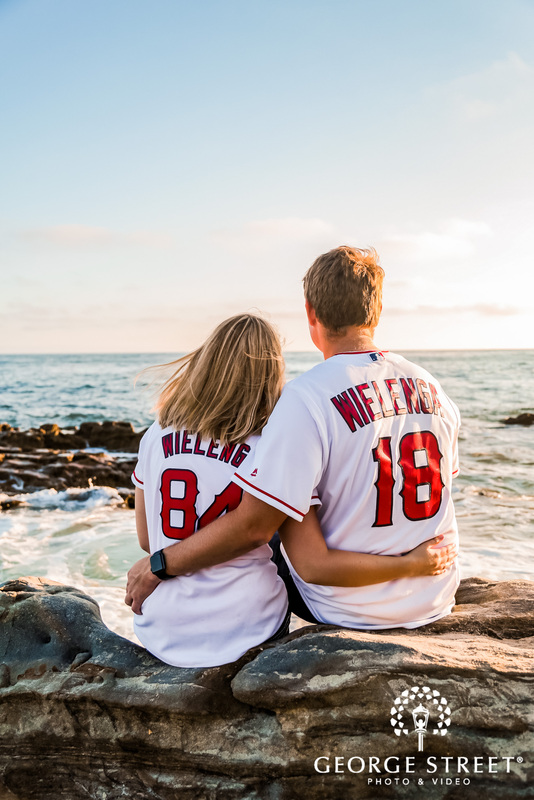 We also love couples wearing personalized Mr. and Mrs. baseball shirts. 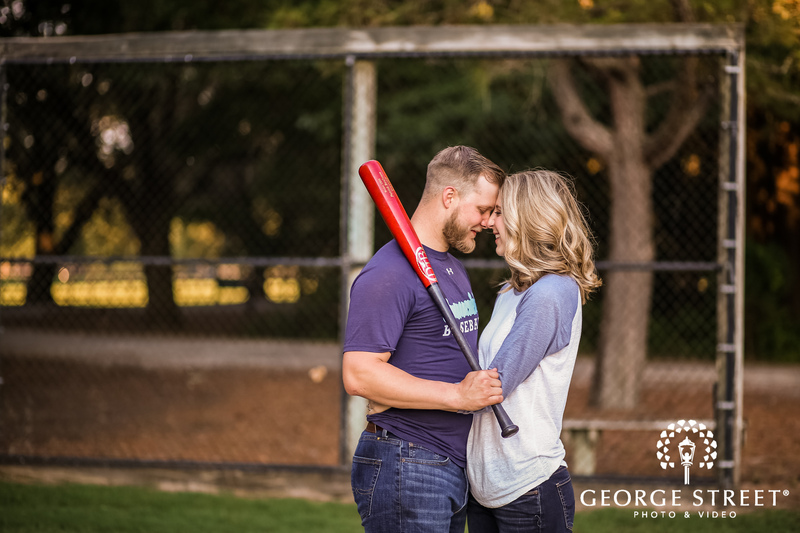 This evokes the retro baseball aesthetic while also giving us some personalized wedding detail. 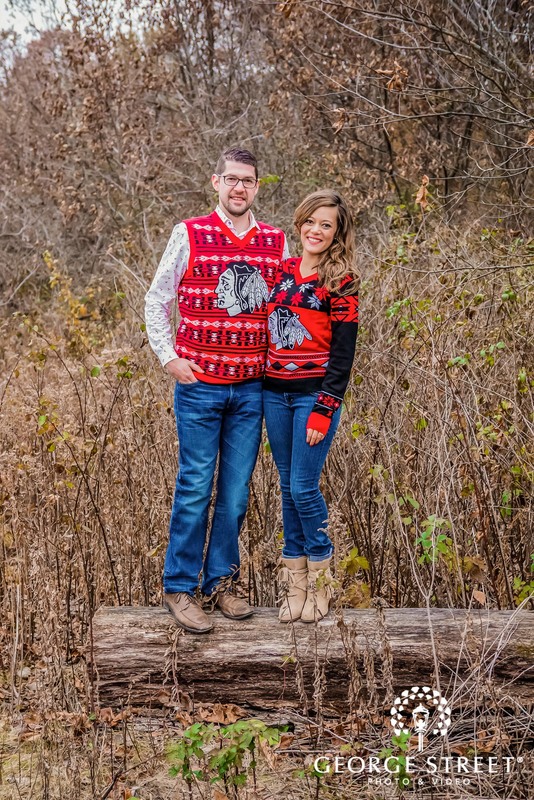 Plus, if you're doing a brunch the day after your wedding, they'll be perfect to wear again. 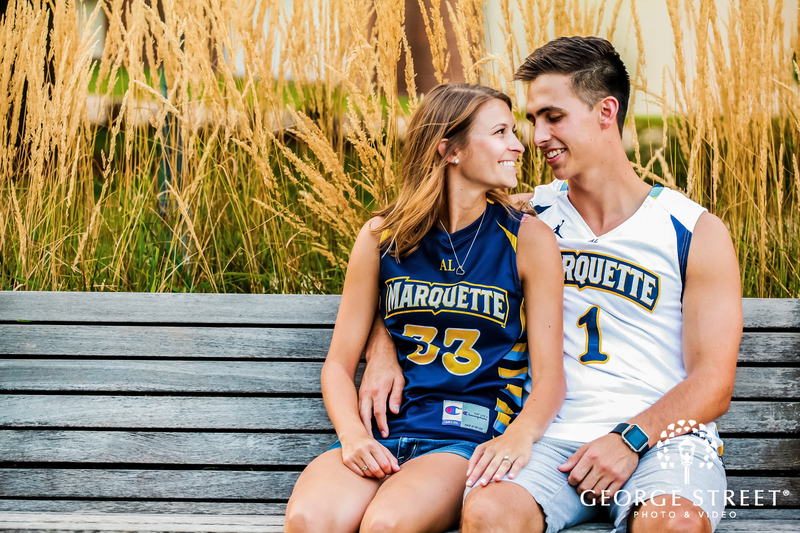 Don't forget college teams, especially if you and your fiancé went to the same school! 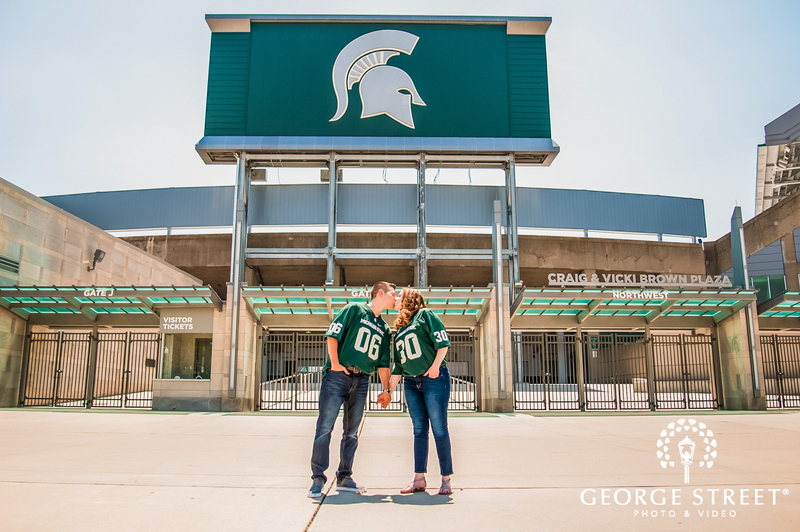 Including a bit of mutual college pride can be a visual way to give your friends and family a bit of the "how we met" story. 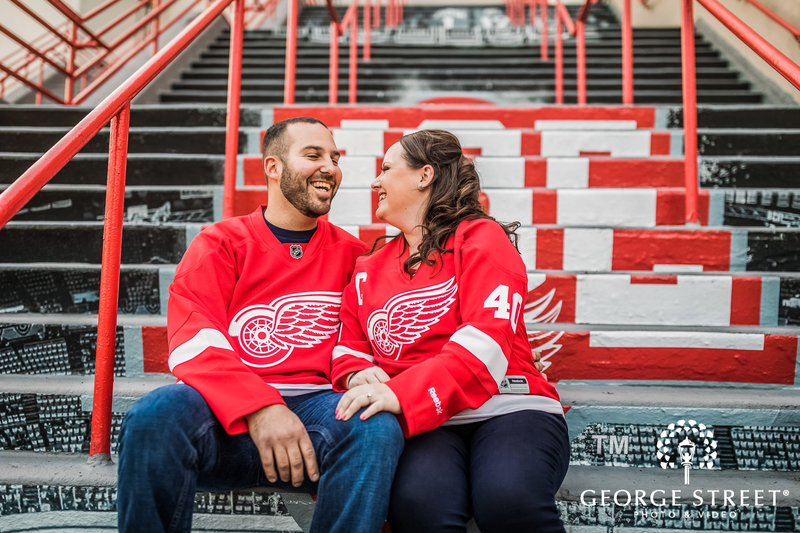 Just being in an arena, park, or stadium has its own magic. 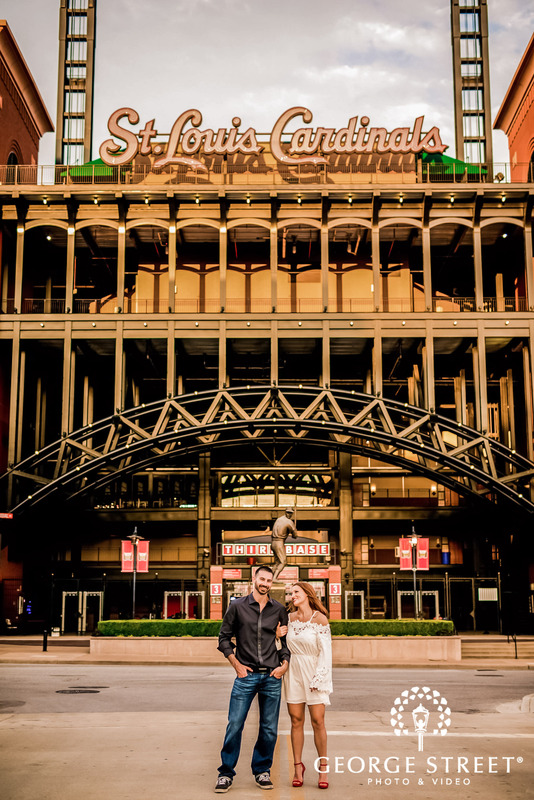 Capture that by posing outside your favorite sports venue for some or all of your photos. 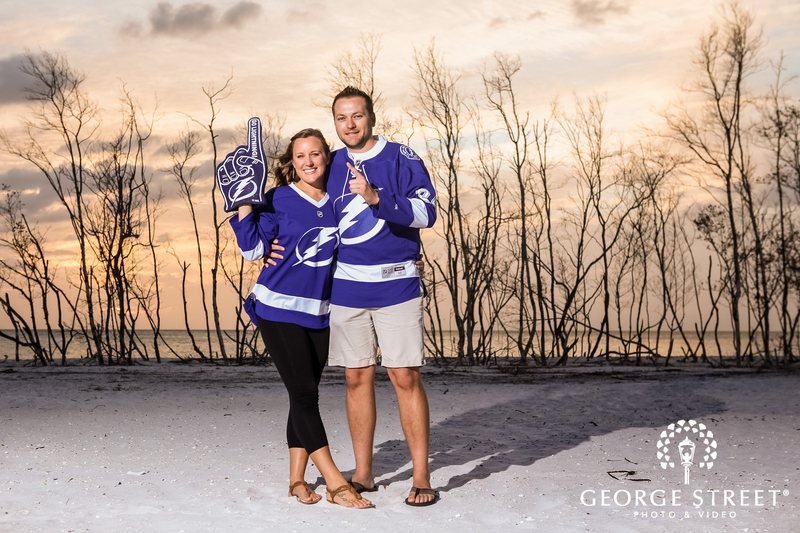 It'll bring personality to your photos, especially if your support for a team is something you share as a couple. 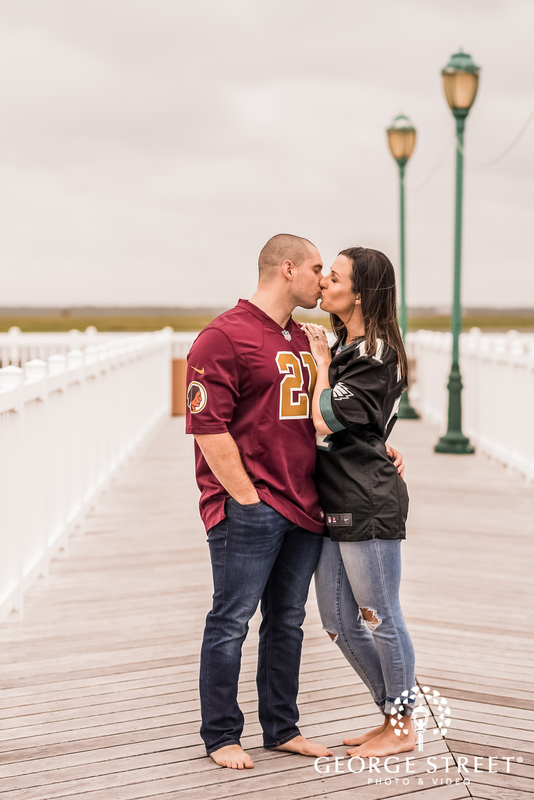 Props are always great in engagement shoots. 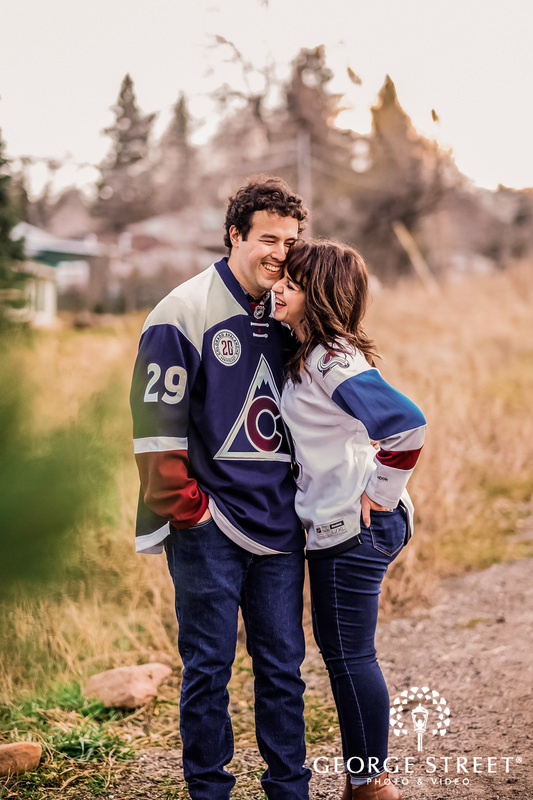 You can use footballs, baseballs, hockey pucks, etc for your engagement photography. 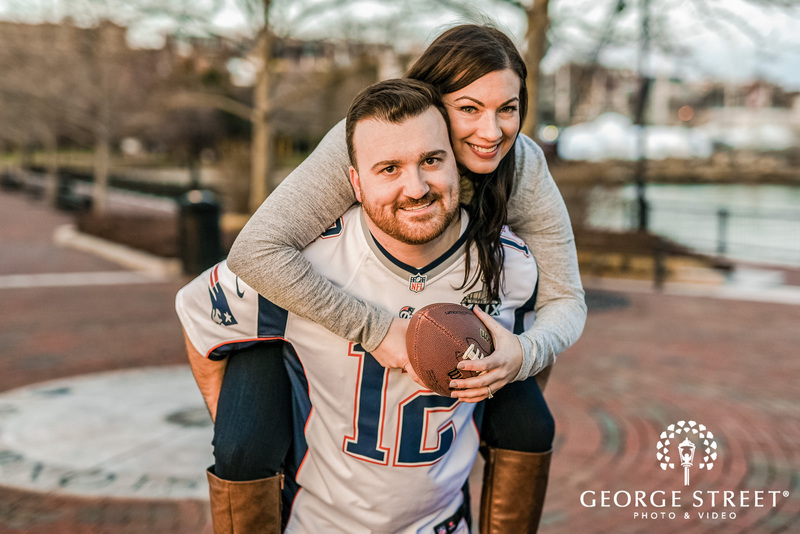 Now that you've got that ball in hand, what about a little one-on-one pick up game in the park? 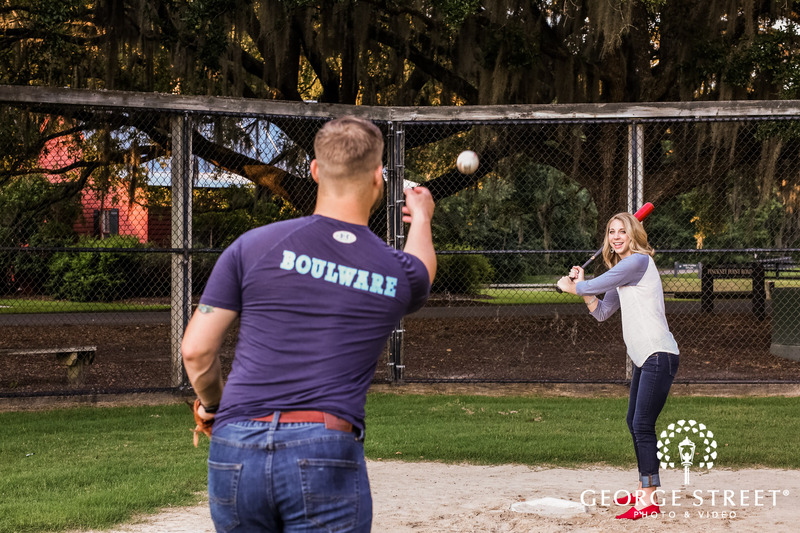 It can be great for some fun action shots. 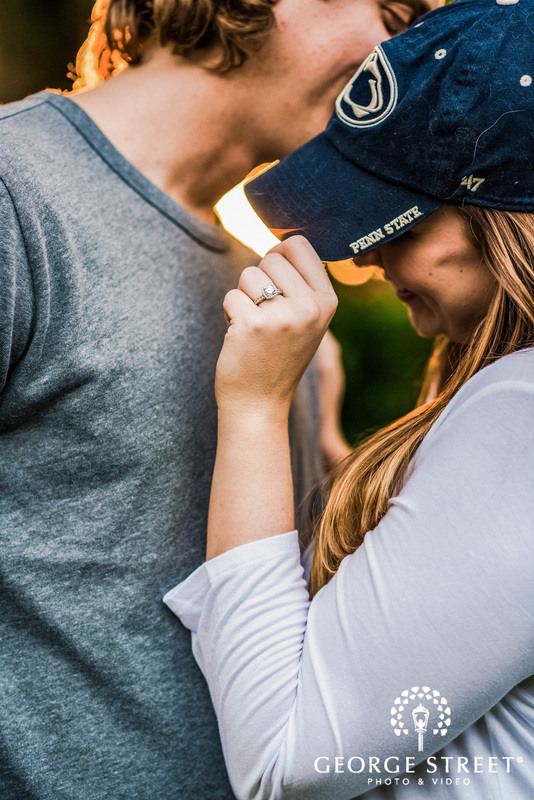 Detail shots of the engagement ring are even better when your engagement photographer can find a unique way to approach them. 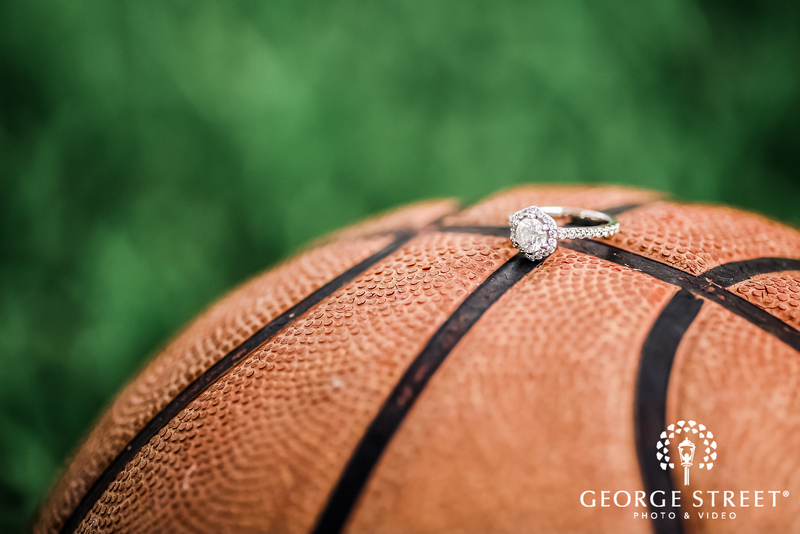 We love the idea of placing a ring on a basketball, so it can enjoy its own sports-themed moment in the spotlight. 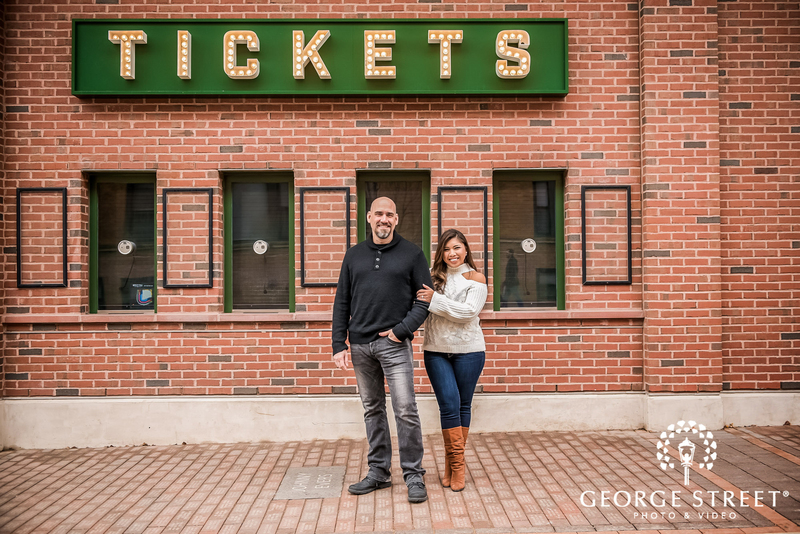 Many couples choose to use photos from their engagement session for their Save the Dates. 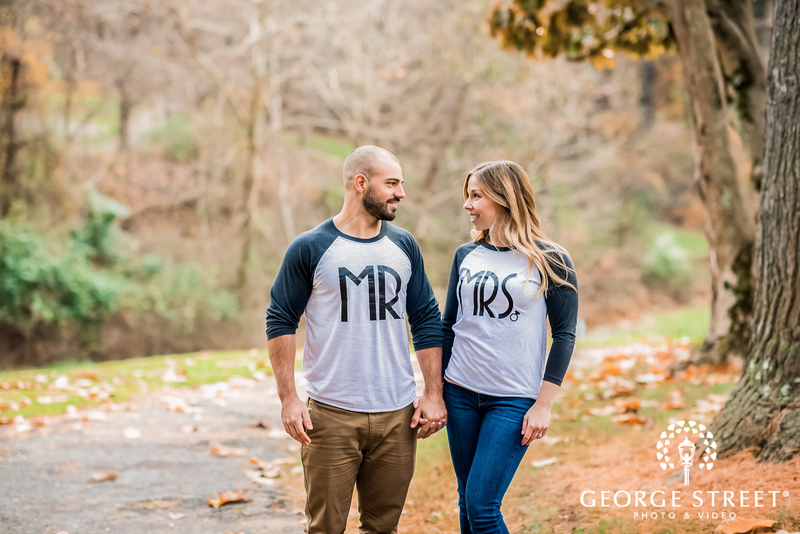 Signs can be a great way to announce the date, or you can go for something a little more unexpected. 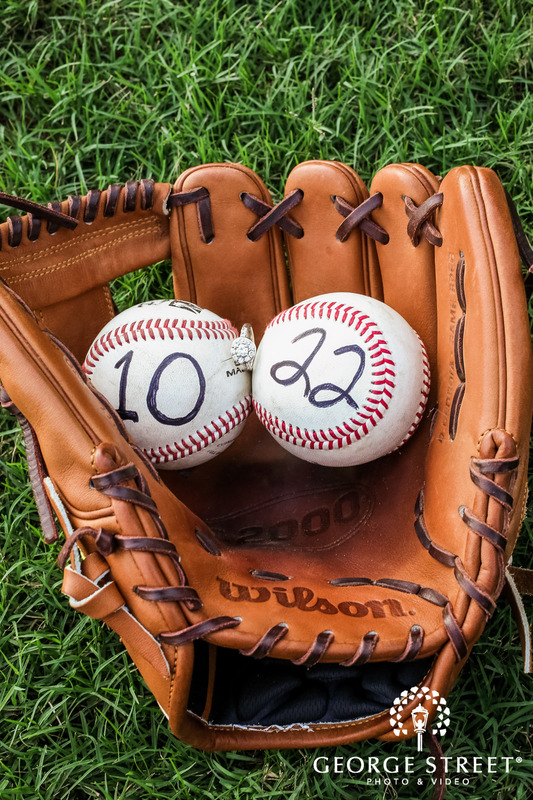 We can't get over this couple who used two baseballs, held inside a glove, to announce the date of their wedding. 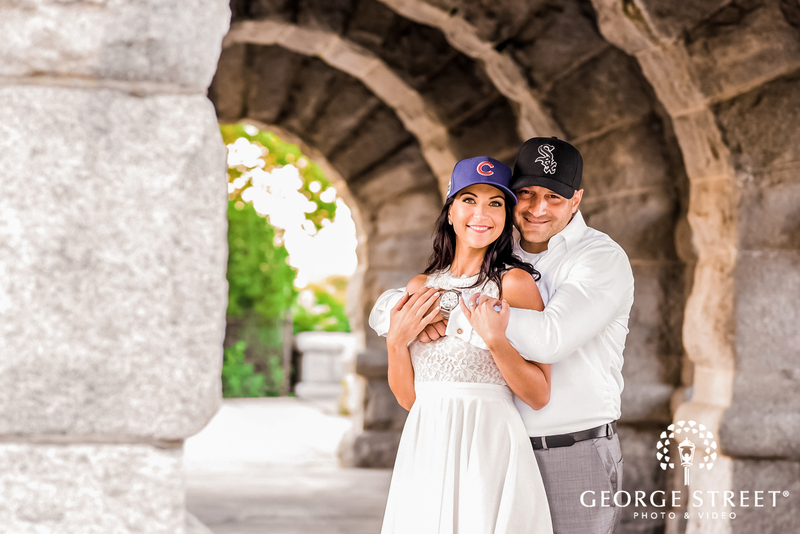 Looking for more picture perfect approaches to your engagement session or wedding photography? 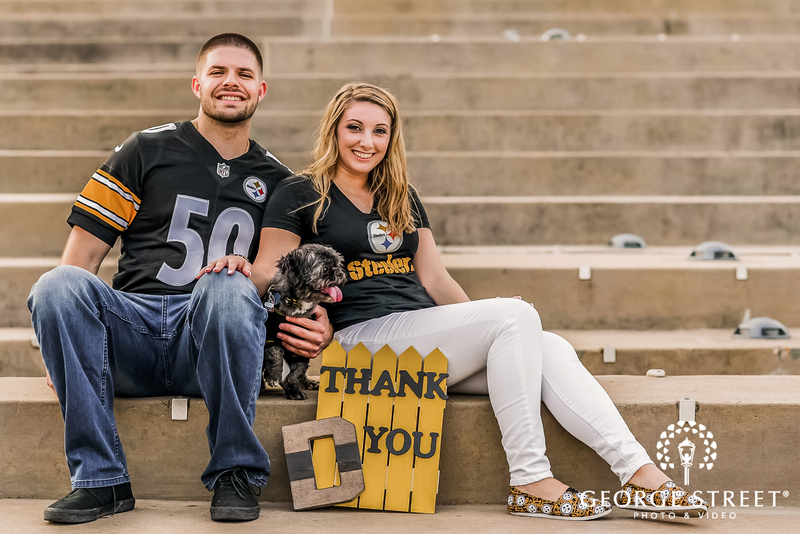 Check out the rest of our blog!